As most of you know, I am constantly researching the methylation pathway and learning every day what is needed to know when experiencing multiple health problems and being diagnosed with MTHFR. There are two genes that I want to talk about that can make a heavy impact on your health that need to be addressed before an MTHFR protocol is started. CBS and SUOX. What is CBS and why does it need to be taken care of before an MTHFR protocol? CBS is Cystathionine-β-synthase. CBS converts homocysteine into cystathionine. This pathway removes sulfur containing amino acids. When it is shut off there can be trouble. There is natural occurring sulfur found in meat and vegetation. We can find it in poultry, beef, pork and fish as well as cruciferous vegetation such as cabbage, broccoli, brussel sprouts, horseradish, ethiopian mustard, kale, collard greens, radish, daikon, wasabi, mustard seeds, arugala, watercress and cauliflower just to name a few. Sulfur is also found in onions and garlic. There are supplements out there that doctors will give to individual with MTHFR to help raise their glutathione which can actually cause a methylation trap. When a patient starts glutathione boosting supplements such as MSM, TMG, NAC and silymarin and they start complaining about negative side effects, this should raise a red flag that there could possibly be a CBS enzyme deficiency. It is always best to avoid processed foods when there is a CBS mutation. Most processed foods contain sulfites which are bad for most and especially bad if you have a CBS enzyme deficiency. Findings to be associated with CBS are low dopamine, low seratonin, cardiovascular risks and multiple chemical sensitivity. And for all of you out there with Hashimoto’s thyroiditis, it can cause low ATP production. Vitamin B6 in the P5P form also interferes with people who have CBS SNPs. So for those of you out there taking P5P as part of your MTHFR protocol, know that if you have certain CBS mutations, vitamin B6 in the P5P form can possibly have a negative effect on you and might have to be given in lower doses. CBS and ammonia is another key factor in people with CBS mutations. People with CBS have trouble breaking down ammonia. One of the factors that plays into this is tetrahydrobipterin. There are precursers for BH4 tetrahydrobiopterin. The following precursers are royal jelly, vitamin C, iron, methylcobalamin and folate. Vitamin C and iron have been known to take folate and methylcobalamin so I like to take my active b vitamins on an empty stomach away from any other supplements to get the full effect of supplementation. There are other factors that play a role in CBS mutations such as elevated taurine levels as well as low taurine and low butyrate. So much for me to learn. Things that I know of that help with this pathway are going on a very low sulfur diet for two to four months, avoiding supplementation that contains sulfur and staying away from processed foods. What I have learned is that incorporating yucca root, molybdenum (Thorne’s product is supposed to be ammonia free), activated charcoal, magnesium citrate, COQ10, NADH/d ribose (for ATP function) and eating all organic and a very low sulfur diet seems to help me. There is still much more for me to learn but one thing I do know, is that CBS must be addressed before an MTHFR, MTRR and/or and MTR protocol can be properly started. I am in contact with many doctors who know about CBS and SUOX who get an overflow of patients with negative side effects to an MTHFR protocol because their doctor did not address CBS and SUOX mutations first. Turning to the SUOX enzyme deficiency. What is SUOX? What can be done if you are diagnosed with a SUOX SNP and what can be done to clear up the SUOX pathway before starting an MTHFR protocol? SUOX I even know less about but I will explain what I know. SUOX stands for sulfite oxidase. People with SOUX mutations are normally molybdenum deficient. When you research SUOX, it is said to be rare but now that more and more people have access to genetic testing, we find that it is not so rare. With SUOX sulfite has a problem converting into sulfate. I know that I have seen some positive results with molybdenum (ammonia free), boron and I have just started supplementing with GABA. Also the COQ10 and NADH/d ribose seem to help me somewhat. I have been reading much of Dr. Amy Yasko’s absolutely incredible work on methylation and will soon be adding Carnitine to my protocol. This supplementation seems to work best plus a few others. Now that you see sulfur must be avoided until CBS and SUOX are taken care of, this will give you an understanding as to why some people react negatively toward a basic MTHFR protocol. Getting the trans sulfuration pathways clearly is a must before any MTHFR protocol can be started. I encourage anyone with SNPs on the methylation pathway to study the works of doctors and researchers out there like Amy Yasko, Dr. Ben Lynch and Rich Van Konynenburg that are understanding methylation is not only about MTHFR. There are many other factors involved. That is what makes us all different. We are all unique individuals. Remember, I am not a doctor nor have I ever claimed to be a doctor. Anything that I write is about my own journey in healing. If you feel that you have any of these issues, it is up to you to decide to be tested and is up to you to find a doctor who is willing to get to the root cause and work with you on your methylation issues. What I know to be fact is that medicine is not a one size fits all. When I woke up and realized this, I ran from mainstream medicine and started healing that day. Please feel free to leave comments and add what you know about CBS and SUOX. The more you share, the more we all learn. I enjoy your site, Sterling. I haven’t gotten tested yet, but based on my reactions so far, it seems my methylation is limited by CBS upregulation. I initially respond well to supplementation, but the effects wear off and I get stuck. I also feel relief of some toxic feeling when I use yucca. I’m going on the assumption that I’m dealing with SIBO, which can produce ammonia as a byproduct, with the SIBO the result of poor methylation in the first place. What I’m trying to do is try to starve the bacteria by eating low-carb/starch, etc., using yucca, molybdenum, and carnitine to help with the ammonia, which hopefully allows methylation to start working a bit better. Yes people do not realize that SIBO causes sulfur and then creates high ammonia. Seems like you pretty much know your stuff. Methylation is an amazing thing. Bet you have been following Yasko. She is amazing. Pardon my ignorance; what exactly does SIBO stand for? I have had the 23& me testing and do have CBS A360A homozygous plus MTHFR  & MTRR hetero and am homozygous for 3 of the COMT genes including the ones you mentioned. Ironically my BP is 95/65.My BHMTs are all good. I have severe problems with sulfurization & ammonia.Recent “sterile SALINE” breast implant rupture released massive amounts of bacteria & fungus into my system [had them 16 years] and overnight I became allergic to nearly everything[in addition to being poisoned for years with 13 heavy metals & fluoroquinolone drugs]. I can’t seem to chelate anymore either. I sent my bags [one broken one full] and capsules to world’s leading expert on implant failure Dr Pierre Blais & received 50 pg report . Turns out they ALL leak and “autoinflate” from your plasma & body fluids causing growing pockets of infection sitting near your heart & lungs! Seems aspergillus & candida are most often dominant. I was implanted at 200cc sterile fluid; explanted at 250cc contaminated fluid. Did not replace implants and had complete capsulectomy [scar tissue was extensive and full of microbes] during which I lost a pint of blood. To say that I am stuck is an understatement. I have had the Genova GI profile showing parasites, opportunistic bacteria & retrovirus.Plus DD Hair Tests & 24 hr Urine Toxic Metals & Essiential Elemets I have mineral derangement big time in spite of organic diet [WPF] & supplements. My naturpath confirms all this with his testing. Took wormer, taking oregano oil and nystatin but having many gut ,liver & gall bladder issues and no insurance any more.Also taking lots of molybdenum,yucca,l-orinthe,mg citrate,zinc,potassium,CoQ10, vitamin D,C, A, K2,proboitics, Astaxanthin [sp] and transdermal amino acids [Trans D tropin]. I am on armour thyroid [23 years] and xanax for sleep only [8years]. FM/CFS are beating me up. I remember a while back you announced that Amy Yasko was donating her test to you. Did this make a big difference in how you are treating your illness? Money is really tight as that breast surgery [& multiple oral surgeries] was not on insurance. Also I was not clear about your app. Do we pay one time and operate it ourselves or is there a $20 charge for each section of SNPs we want analyzed? I want to do my grandson as well as his SNPs closely resemble mine and he is only 5 but has speech problems, split tailbone & several teeth never came in [neural tube defects]. Sorry this is so long. Need to be pointed in the most expedient direction . SIBO stands for small intestinal bacterial overgrowth. We have the app out to better help you understand the SNPs that could be impacting your health. You can email me at beclotaware@gmail.com if you would like to see my sample report. I encourage you to go to MTHFR Support on FB and ask away. We have 2 doctors and a nutritionist that help people with many of these questions. I am not a doctor so I cannot answer many of your questions. Interesting. I was googling about sulfites and i somehow ended up at this site and whilst none of this makes any sense to me at all, i have often thought i have some kind of SIBO thing going on maybe, along with some problem with sulfites, but i have never seen or heard of a connection between the two. Also i have noticed an ammonia smell coming from me when i have sweated heavily sometimes. Maybe it is just more correlation not equaling causation stuff to drive me further insane. I am not sure if a have a problem with sulfites but over the years i think i have noticed some kind of association between sulfite consumption and a worsening of some rare condition i have. What’s weird is i have gone low carb in the past, because of the sibo / carb malabsorption type thing etc, but i have always had to stop after a few months because it makes my symptoms much worse. I wish i knew what any of this meant. We hope to have a few experts on the show to clarify the sulfite and sulfate issues that people are having. I encourage everyone to listen to the show with Shawn Bean that was done in October. You can find it under the radio show section . Today I stumbled across this site which has opened up a whole new world of possibilities of what the root of my problem may actually be. I’m truly feeling a little hopeful! Yet, at the same time, I am overwhelmed by the load of the scientific information, as chemistry and metabolic data are far out of my league. I have seen many doctors over the past couple of years, but I don’t know what sort of doctor I need to turn to now in order to see if any of the issues you have presented are related to my health. In other words, where do I start??? Any suggestions or ideas would be much appreciated!! :). Thanks! Have you done your 23andme yet? Our genetics can give us answers. There is a gene called CBS and when it starts expressing, we can end up having issues with sulfur. CBS is needed to be working in the body to help with a mineral called molybdenum. When we become molybdenum deficient, sulfur stops transporting to the cell wall in order to make glutathione and starts pinging around the body causing serious issues. A good example of this is children with Down syndrome. They are missing chromosome 21 and CBS is located on that chromosome. So they have the worse sulfur issues of all. They do not even have the CBS enzyme to create molybdenum. And molybdenum is needed to transport sulfur to the cell wall in order to create glutathione. Also sulfur is needed for blood pressure regulation. Now if you do your 23andme, the CBS SNPs will be in the raw data. You can then use an app like the one I have to pull out the CBS SNPs. We do have a list of practitioners at MTHFR Support that do phone and/or Skype consults. Dr. Jess Armine and nutritionist Shawn Bean in PA, nutritionist Cynthia Smith in Illinois and Dr. Tim Jackson in SC. I know that royal jelly is a precursor for BH4 tetrahydrobiopterin. People must realize that they need to find a practitioner who knows about CBS and what to test for and how to treat it. Is molybdenum low or high? Is taurine low or high? Is ammonia low or high? Make sure that you are under the care of someone who knows what they are doing. How can one find a provider that can understand the impacts of SIBO, CBS C699T, MTHFR and MAO-O complications? My poor daughter has struggled her whole life and she is +,+ for CBS, +,- MTHFR and +,+ MAO-O PLUS she has SIBO. We have seen a GI Specialist (no help), a Naturopath (helped a bit) but the Genetic Specialists in our area are booked out over 8 months. ANY help on apps or sites we can find out where to start would be great. From what I understand, we have to treat the CBS first but I have no idea what to do. She is currently on a FODMAP diet due to SIBO but I don’t know what to add first. She is so afraid of making it worse… she’s been through so much. own area. If you click the red icons on the map you will find a link to the practitioner’s websites where you may find details of their particular areas of expertise. I don’t know if you are familiar with Helen Bense out of Australia. She once told me that Royal Jelly was great for BH4 production which seems to be inhibited when CBS is expressing. She does have a page on Facebook. Always check with your practitioner first. Do you have AHCY? Is that why you are on SAMe? I know from doctor Yasko when AHCY is expressing SAMe and SAH ratios get off balance. Are you taking NADH because of niacin deficiency and COMT expressing? We do have doctors and nutritionists and MTHFR Support on Facebook that can help guide you as well. Yes I have ended up with reactions to things that when my report was read, something else was going on. Come to find out, I have fungi/candida at a +3 with +4 being the worse and I have parasites. The gut is so important. I do have MTHFR but I have COMT definitely expressing so I cannot tolerate methylcobalamin and try to go with adb12 instead and if I need folate besides what is in my diet, I will use a very low dose of 400mcg. That is why I hate to see protocols for MTHFR because so many other genes that are expressing will determine the outcome of how you treat MTHFR. I just found out yesterday that I have homozygous MTHFR C677T, as well as homozygous COMT V158M, COMT H62H, VDR Taq. I am heterozygous MAO-A R297R and CBS A360A. I was diagnosed with Gastroparesis this summer and have been very ill. I tried to find a doctor to help me with supplementing and nutritional support, but everyone I called today seems to think I am speaking of something unheard of. I am scared to just try something on my own…Any ideas??? I really would like to try something, but don’t want to end up any worse off. Oh…one more thing…I have horrible anxiety as well. This seems to be turning into panic attacks and I am also having sleep disturbances. Fun fun!!! I have similar genetic makeup. COMT can be a living hell when expressing. I avoid caffeinated foods and dopamine rich foods after doing neurotransmitter testing and found my epi, norepi and dopamine are elevated. I also become a huge mess if I take high dose supplements with the word methyl in them because they increase my epi. I am very cautious with my amounts of D3 and phosphtydalcholine because of the dopamine increases. But you must talk to a practitioner who understands methylation when taking this on because you can harm yourself even more. What works for one may not work for another. We have a list of practitioners at mthfrsupport.com that do phone and/or Skype consults. Thank you so much for your reply…I will probably have to go with a doctor,who can do a Skype session….Every doctor I mention this too looks at me like I am speaking another language. Does this mean I should avoid antidepressants as well??? I have terrible insomnia and anxiety and the doctor wants me to try Remeron,ut now I am leary because of this new information about my genetics. This is up to you and your doctor. I can be sued and lose my website if I answer this question. Very interesting. I recently did the MTHFR test and was negative. Was sure I had the MTHFR mutation as a have the symptoms and my B12 and folate levels are really high….still working on why. Can you tell me if I should have other tests done and if so which ones may be able to give me some answers? Have you done our variant report after doing the 23andme test? There you will find 13 SNPs related to MTHFR, SLC 19A1 and PEMT also related to folate. Also things related to B12 such as MTRR, TCN1, TCN2, TCN3 and FUT2. MTHFR is just a small part of it. You get your genes from your mom and dad so you are born with these SNPs. Certain things like illness, chemicals and other environmental exposures and even what you eat can make them express. And for instance if CBS is not working right, it can cause problems with MTHFR, MTR, MTRR and many other genes. You can go to MTHFR Support on Facebook and we have practitioners there that can answer many questions. You can post publicly or privately. How do I get CBS and SUOX tested? Can I use the results from 23andMe? 23andme does not test for SUOX but tests for 923 000 SNPs including the ones for CBS. If you are desperate to test your SUOX gene then Dr. Amy Yasko’s do-it-at-home blood test would be your only option. Does 23andme test for CBS and SUOX? Dr. Amy Yasko’s nutrigenomic panel tests for SUOX and CBS. 23andme only tests for CBS, but it has much more to offer for you. With 23andme you can do your own research and make discoveries related to your health problems. SUOX is a very important, critical gene, but 23andme tests for over 900 000 SNPs in the human body and it’s much more affordable, therefore we go with 23andme. Thanks for your reply! I didn’t see my CBS genes when I ran the 23andme results on the genetic genie, so I didn’t know if that was covered or not. My doctor wants me to look into my CBS results and find out what they are because he thinks I have a problem with B6 metabolism. I’m still learning this stuff, so if you have any tips on how to locate my CBS info – I’m interested to know. Thanks again! The discussion boards on 23 and me will help you locate the SNP’s for SUOX. You don’t need extra testing. How do I find the 23&me discussion boards you are talking about so I can find out about SUOX snp’s – theses did not show up in my report from MTHFRsupport. Do I go directly to the 23&me site and go to the community. I tried to find a group there about methylation and found nothing…. For 23andme you can sign in for your account and in the drop down menu under your name find: Browse Raw Data, and then type in Suox. It can show if you carry some. I believe it does not test all of them. I was under the impression that 23andme now tests for SUOX: rs705703, i5000977, i5000976 ? We are looking into it. Covering up to 4000+ genes. Please give us some time. Yes. 23andme does report the SUOX SNPs. Not the particular SUOX SNP that Amy Yasko finds relevant. But we are looking into the other ones. Example: There are 20,000 MTHFR Snps but only some of them are posing problems and express. 23andme tests for 59. Out of the 59, 13 of them are on my variant report that have peer reviewed research attached. MTHFR rs1476413 T TT +/+, and MTHFR rs4846049 T TT +/+. Am I able to provide my yellow and red results on this blog and have someone give me an idea of what my results indicate and where I should go from here? I know your variant report must show more than this. We have a list of practitioners at mthfrsupport.com that do phone and/or Skype consults. Next time you see me on Skype, call me and I will answer as soon as I can. You really need to speak to someone who understands nutrigenomics and methylation. I myself needed help and I was living off of $721 a month disability, no husband, a dead father and dying mother who is now passed. No family support, living out of boxes. Luckily a friend let me move in and stay in a room of his. where I was able to take my $721 a month, buy organic groceries, a few vitamins a month and scrape saving for one test after another that was not covered by medicare. This took me several years but I NEVER gave UP! Please hang in there. Move forward. I got lots of help when I took $54 and signed up for weebly and started this website. I Never gave up! Even when I was homeless living in an attic because no one believed in me. Go to MTHFR Support on Facebook and ask away. We have many practitioners there. I think you should listen to our last radio show titled the cystathionine beta synthase debate. http://www.mthfrsupport.com/blog-talk-radio-archives-october/ It will answer so much more than what I can answer here. Looking for any help here – 23andMe has 36 SNPs for CBS. How do you know which ones are important? I find this to be an ongoing challenge with other genes as well, so if there is a place where I can determine the relevant SNPs for other genes; I’d greatly appreciate it. Yes, you should read Dr. Amy Yasko’s book. Chapter six is what you should focus on. I just discovered I have A1298C, MTR, MTRR, COMT, and CBS mutations. A naturopath put me on an expensive MTHFR cream that includes 5-MTHF, along with hydroxycobalamin, methylcobalamin, p5p, and D3. I felt really great for awhile, added in TMG, and now I am falling apart and can barely think straight or get anything done. I eat mainly cruciferous vegetables. Where can I learn more about the low sulfur diet? I think I need low protein as well because of the ammonia issue. I also have candida and SIBO. Should I stop the cream?? Help me! I am sorry you are feeling this way. First of all a practitioner cannot look just at MTHFR and start treating you. If COMT is expressing and have no VDR Bsm, D3 at high doses, TMG high dose methylcobalamin and methylfolate can be contradicted Also be careful with CBS treatment. Have you done your 23andme? Also we have practitioners learning every day that I am adding to the list here at mthfrsupport under find a practitioner. Many do phone and/or Skype. Actually, I did a test through Dr. Sherrill Sellman called Fitgenes and I paid a whopping $750. Recently, I discovered 23andme and believe that test is more comprehensive than the one I took and a fraction of the cost. Oh well… The genes I mentioned are the only ones I got and my report does not show the + and – so not as detailed as 23andme. Anyhow, I tested my sulfate levels today and the strips are very low, so I think I can go back on sulfur foods? I like my whey protein, and I get depressed when I go on low-protein diets. I am also taking molybdenum and waiting for the yucca to arrive. I am wondering if NAC would be an okay supplement to take. Do you know about the smell in your urine when eating asparagus if that means you can’t process sulfur? It’s hard dealing with this because I have good days and bad days and not sure how to plan out my life or if this will ever completely resolve. How do I know if COMT is expressing? It is listed as positive on my report, so does that mean it is expressing? Also, I thought with CBS that sulfur was my main issue and that if it was low I could return to the MTHFR cream. Is there more than just the sulfur and ammonia to pay attention to? I don’t know much about COMT. I started the cream back up today. Maybe start slow? I know I felt worse when I increased it to 3 times a day. Just diagnosed with mthfr… but was previously diagnosed with Ms. In addition had the reaction to the sulfa antibiotic with hives and what was diagnosed as MS. I’m thinking I have the sulfa/sulfates issue here…anyone ever diagnosed with ms but it turned out to be this combination? Can someone help me understand WHY P5P form also interferes with people who have CBS SNPs? I’m a compound hetero, and P5P makes me dizzy and anxious as all get out. I can barely stand up! It has to do with sulfur. Have your read Dr. Yasko’s book autism pathways to recovery? Chapter 6 covers this. Although there has been some controversy to what she says about CBS I will send the link to you to read for yourself. If you want to chat more about it you may give me a call at 504-616-06965. Also there are genes like SUOX and G6PD that you can have sulfate sensitivity. SUOX the particular one that Dr. Yasko tests for is not on 23andme. G6PD is. There are a few new ones that we don’t have on the variant report that we have found and I can teach you how to find them easily if you contact me. I am just learning about all of this and have my results form 23&me and have run my raw data through MTHFRsupport. Reading about CBS and SUOX….I have no CBS snp’s to be concerned about but I react to sulphites – dramatically. I cannot eat or drink any sulphites containing foods or drugs nor can I breathe in sulphites. I am guessing my issue is with SUOX. So I typed in SUOX into the search area of my raw data and 4snp’s come up….but I don’t know how to read it. rs705703 CC, i5000977 AA, i6028286 CC, i5000972 AA. Can anyone help me with this?????? I would like to get started with why will be a long journey of healing (I am very very ill) but think I may need to address this first before looking at MTHFR snp’s. In these complex cases one needs to look at the whole picture as well as the genetic snps. There may be other factors involved into getting you back on to the right path to regaining your health. Trying to identify it is a specific snp and even following an recommendations for MTHFR might even back fire with out knowing what your other systems look like, In these situation properly ascertaining other information would be able to give an over all picture. A simple solution I found in this would be to look at molybdenum levels in blood or other markers to see if there was an imbalance. Just because you have no CBS mutation does not mean there are not things which can mimic it. This is why all avenues need to be evalautated with a client to know what direction to go. Far as I know 23andme do not have the proper snps for clinically active SOUX genes commonly associated with this situation. 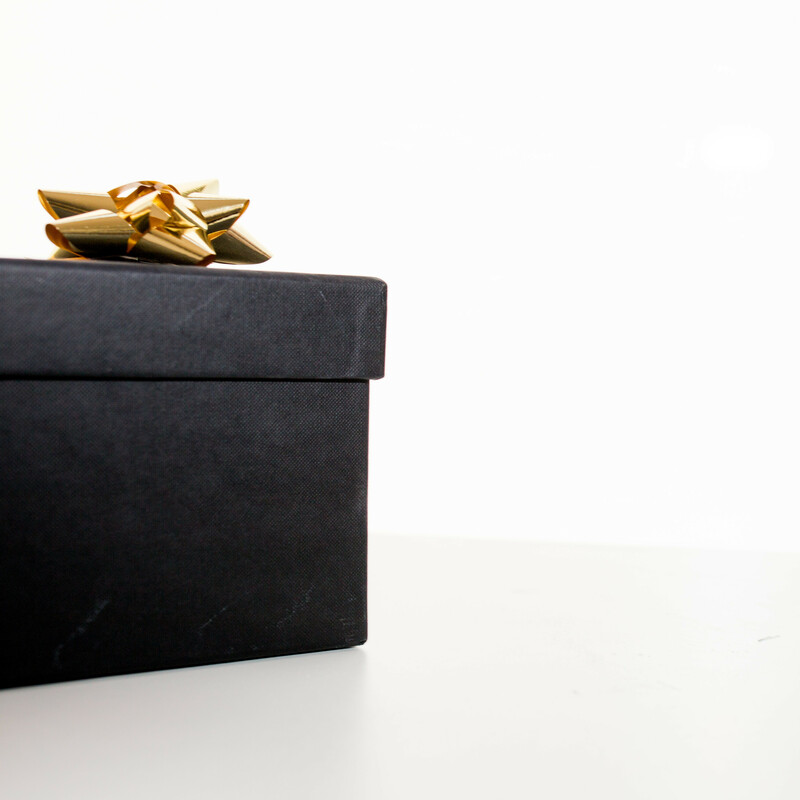 What you may think is one thing turns out to be something totally different. Seen it in many cases which why I would not try to out guess the body especially when you do not have the understanding of the complex biochemistry and interactions with other systems. What does “no call” mean for CBS A360A? My daughters results on genetic genie show this. No call may mean deletion. It is up to a practitioner to decide whether it’s a deletion or not based on health history and further testing. I am confused. So many variables. As for protocol for the heterozygous a1298c “mutation” – is there really any? Since it isn’t the more damaging c677t mutation, no worries, right? Just add a little Vit b of a certain type? Since it is only the a1298c affected, no need to be concerned about sulphur, CBS, SUOX, FTU2, and all those, right? 23 and me is apparently not completely accurate. I have read studies that were done and people who compared their 23 and me results to blood test results and got completely different numbers for the same SNP. I’d rather pay out of pocket more for a blood test than get faulty results from 23 and me. 96-97% accurate may be fine when testing for MTHFR but the more results you receive, the more likely the inaccuracies. I’ve been taking a weak solution of chlorine (bleach-3 drops per 5 gallons) added to my water supply to eliminate brain fog. Kills sulfur based bacteria for a while. I too am taking B12 to rebuild nerve sheaths. I have not been diagnosed. I have a homozygous MTHFR mutation. I have also tested extremely high levels of B6, even when I am not taking any supplements. I have had severe allergic reactions to sulfa antibiotics in the past. Also, I usually feel worse after taking even just 1 capsule of Thorne’s Methyl-guard Plus. My question is, have you come across any information that would describe why a B6 level is well above the normal range even without any supplementation? I have seen many naturopathic and homeopathic doctors and none seem to understand this. I also am told to keep taking the Methyl Guard support, but it makes me feel nauseated and shaky, even on just 1 capsule. I know that sulfa has to do sometimes with G6PD and SUOX. SUOX you would have to do Dr. Amy Yasko’s panel which you can find more information at http://www.holisticheal.com. Also G6PD have you done your 23andme? And have you looked into COMT which you can find on 23andme? Some people with CBS can have either low B6 or high. Depends on what pathway which can be looked at on 23andme too. Have you done your 23andme? Also please email me at beclotaware@gmail.com and leave your phone number so I can contact you and I will see if I can figure something out for you. I left a more detailed message on the other comment section about this. I started having peripheral neuropathy in January 2013. I was shown to have high levels of B6 at that time. I had been taking 50 mg of B6 for about a year for PMS. I stopped taking the B6 and my levels did come down, but I’m still having terrible burning, numbness, and weakness in my arms and legs, mostly left side, and in my face. I’ve been evaluated for MS, which was negative. If I take the smallest dose of B6, my symptoms get so much worse. I’m wondering now if the foods I eat that are high in B6 are keeping my PN symptoms stirred up. A lot of the food I eat IS high in B6, i.e., bananas, beef, chicken, salmon, turkey, pork, kale, avocado, garlic, spinach, sweet potatoes. I don’t know what to do. I have scoured the internet looking for a solution. There seem to be a LOT of people with similar stories, but no one has a solution. Even after B6 levels return to normal, the symptoms persist, even years later. I can’t imagine feeling this way for the rest of my life. I have not been tested for MTHFR, just reading about it. I have spent so much money in the last year on a neurologist, homeopath, naturopath, etc., all with no answers and no relief, that I’m reluctant to spend more and still be left in pain with no answers. I spent 13 years with awful symptoms myself Doing 23andme and then pulling out SNPs helped me somewhat. I am not 100% but am off of home health nursing and off of disability. I do know how chronic nerve pain feels from having fractured C5, C6 and C7 and being misdiagnosed and rupturing L3, l4 and L5. 23andme gave me answers that no other doctors could. Through it, I found out why I was in need for a low estrogen diet, low iron diet, no caffeine diet, no bean diet and that I was in need of tryptophan and niacin rich foods and other things. I had to pay $300 for it at that time living off of $721 a month with no family support. So I understand where you are coming from. Ultimately it is up to you to make the decision. Just telling you how it has changed my life. I appreciate your input, Sterling. If I get the test for MTHFR, I have no idea who to consult with to go from there for treatment. I’ve consulted SO many “alternative” practitioners in the past. None of whom have been able to help me. I’m sure the list of practitioners skilled in dealing with MTHFR is very short. How can I be sure I’m dealing with someone knowledgeable? I’m very new to this. Hi, I was tested using Amy Yasko’s genetic marker test for methylation and wow, I’m a bit of a mess over here. I mean, I knew that – lost my only brother to suicide, my mom severely mentally ill (Bipolar) and I’m living a life so regulated and sheltered that it is half a life at best, really. I also have the mental health issues of my brother and mother. Thyroid problems, but really no other physical problems I see others complaining of. I am mostly emotionally unstable, irritable, can hardly stand to be around people, must be alone much of the time for my nerves – I feel like a Victorian high-strung histrionic female who needs her “smelling salts” at the slightest irritation. I am guessing you have zero time to help people know where to begin with their protocol – I have spent hours and hours and still can’t seem to wrap my dulled brain around the science and order of this whole methylation/genetics thing but I think I may be on to the mystery of our sad family outcomes. And I want to FIGHT for my own life and quality of life. Currently on antidepressants, antipsychotic, mood stabilizer – none doing a bit of good when you consider how badly things get sometimes. For my own clarification and MAYBE a shot at some guidance (general, of course) as to where to start, I am going to type out the stuff the test found. I read already on Seeking Health’s website and Amy Yasko’s website and this website and bought “HomocysteX Plus” but then I see discouraging statements like, “If you have ________ AND are hetero for ____________ we have serious problems,” and I do happen to have the stated combination of defects (SNP’s). I would literally pay someone – a lay person – to just go down this list and talk to me IN PLAIN ENGLISH about the steps to take. No Doctors here where I live seem to know the entire picture. They are plenty familiar with selling supplements and the methylation pathway when it comes to MTHFR, but methinks I may have a problem with only being handed the correct form of folate and a few B vitamins – not seeing a difference at all. If anything, my depression gets worse. Is there an email or phone number or someone specific I could chat with? NOT medical advice – peer to peer support with no liability off the record? Arrrrgghh Charlie Brown! COMT ++ should be weary when trying mehthyl supps. They can increase anxiety. So many that have MTHFR will start on low dose methylfolate when there is a folate issue only after healing the gut and will go with adenosyl and/or hydroxyl b12 because they have problems breaking down dopamine, epi and norepi for the most part. BHMT has to do with betaine. Betaine is found in beets (which can sometimes trigger COMT’s) lamb and spinach. Some do TMG (which may not be a good idea for COMTs) and some do betaine HCL (may not be a good idea for people with h pylori) and some do Dr. Amy Yasko’s phophatidyl serine complex at very low doses. VDR FOK vitamin D3 support, eye on blood sugar and Dr. Amy suggests pancreatic enzyme support. BHMT 08’s tend to get some anxiety too and again dr. Amy has a complex to help with this issue if expressing. CBS when expressing may need things like molybdenum support, something to break down ammonia and caution with sulfur until it is working again. And if not expressing and you do this you can do harm. Find a pracititoner. VDR Taq again D3 support. SHMT people do not recover well form bacterial infections in the gut. Many suggest removing dairy, gluten, soy and nightshades. Yasko recommends folinic acid. Please find a practitioner that understands methylation and gut health. We have a list started at find a practitioner and many do phone/Skype and/or telemed. Just because you have a SNP does not mean it is expressing and you can do more harm than good when self treating. SNPs that relate to the gut and inflammation should be addressed first and the gut itself then there is a certain order. I hope to have one of the practitioners to get into more detail about this in the near future. For now, it is best to contact a practitioner who understands this. I have a list started under find a practitioner. As an alternative practitioner who has taken Dr. Lynch’s Part one video course on Methylation and Clinical Nutrigenomics, this can be misinformation. According to Dr. Ben most CBS mutations are UP regulations, not down regulations (as claimed by others) and the sole snp that is a down regulation appears to have little impact. In CBS up regulations B6 supplementation may be needed. Heartfixer appears to be outdated and behind the 8 ball sometimes as far as suggestions for dealing with specific methyation snps. Another piece of misinformation is the low sulfur diet. However, addressing the transulfuration pathway before starting an mthfr protocol appears to be sound advice. And molybdenum is a part that picture but B6 in many people can be as well as CBS needs B6 as a cofactor, although many may have to start out slowly. The transulfuration pathway begins with the CBS enzyme (which needs homocysteine and B6 to function, and culminates in Cysteine and Hydrogen Sulfide. If you have a CBS down regulations (which most are) the CBS enzyme would slow down even further with low B6 levels It would also be slowed by taking GSH and high nitric oxide levels. It is upregulated by high B6, high oxidative stress and low GSH. It is the down regulation mutation that would result in cardiovascular disorders, as well as many other conditions. Most CBS variants do not appear to effect enzyme activity significantly. The most problematic CBS are the ones that down regulate and increase homocysteine and reduce transulfuration. By the way formaldehyde exposure and high nitric oxide levels and peroxinitrite all slow the expression of CBS. A CBS upregulation is a compensatory and protective pathway to the key compounds Glutathione and hydrogen sulfide. The sensitivity of ttransulfuration pathway is an auto corrective response that leads to increased levels of glutathione synthesis in cells challenged by oxidative stress. This pathway is important in the maintainance of the intracellular glutathione pool. Hydrogen sulfide increases glutathione production and suppresses oxidative stress in the mitochondria. The addressing of CBS defects need to focus on GI repair, the sufnotransferases, the glucoronidation pathway, the cytochromeP 450’s, the nitric oxide synthasases, mitochondrial restoration and support, and cell membrane support. Long term sulfur restriction, however, is NOT a good idea. Sult enzymes need PAPS as a as a cofactor and cysteine fuels PAPS The major source of substrates for PAPs is Cysteine (NAC). The sulfation pathway has a high affinity for its substrate (sulfur) but a limited capacity for xenobiotic conjugation. Thus the overflow is directed towards the glucoronidation pathway, which has a low affinity but a high capacity. If the sult pathway is burdened with xenobiotics it has a limited capacity to process hydrogen sulfide and sulfur. Short term sulfur restriction is beneficial to take the load off. Long term sulfur/thiol restriction is not recommended and can result in Hypertension, respiratory difficulties and mental dysfunction. I wrote this post in a hurry and it may contain errors, and no one should use this information as treatment advice. Yes I am also a follower of Ben Lynch and Dr. Susan Owens. We have some CBS SNPs related one way and also related other ways. I always warn people to please speak with a practitioner that knows what they are actually doing. If you are not on the practitioner list. I would love to have you on it. I’ve read that it’s Yasko and the Heartfixer doc who say that CBS is an upregulation problem, which you also seem to suggest when you state that the Heartfixer site is outdated (which I agree with). Could you please help clear up these confusing statements? We have also got other information from Dr. Susan Owens who runs the low oxalate diet board on Facebook. If you feel you are having sulfur issues, you might want to follow her page on FB. I believe it is a private group that you must request to join. I have been searching all day for an answer as to why i had a strange/bad reaction to thorne b complex #6. Thank you for this info! Couldn’t figure out if it was a niacin flush or the b 6 (200 mg Pyroxidine Hcl and 6.8 mg P5P.) is this a particularly high amount of B6 for anyone? Or should I look into the CBS mutation to explain my reaction? BTW, I do great with methyl vitamins- folate and B12-gives me lots of energy. Thank you for your wonderful work and generosity. I’m not sure I am getting the whole gist of this post. Are you saying that a person with CBS and/or SUOX snps should avoid sulpher in food and supplements for several month prior to adding methylated vitamins? Is that what you mean by “taken care of”? How would one know that they have, indeed, been “taken care of”? I seem to be tripping over the term “taken care of” as it is vague and non-clinical. I mean, of course, I understand non-clinical language, as everyone does, but in this case, I’m somehow not getting your precise meaning. p.s. Because my data was derived by ancestrydna, which appears to be on par with 23andme, quality-wise, I can’t use your app. This is sad. Do you have an exclusive arrangement with 23andme which prohibits processing date from other equally decent companies? drk – Did you see this post from admin Lea on 3/1 regarding Sterling’s app in reference to ancestryDNA? 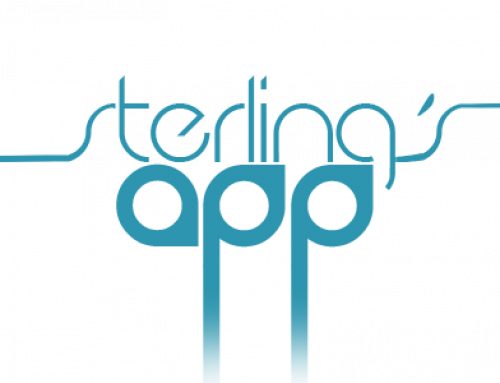 Sterling’s App V2.2 can be ordered here https://mthfrsupport.com/order-reports/. You will be able to select to use data from AncestryDNA or 23andMe.